^ 1.0 1.1 Step free Tube Guide (PDF). Transport for London. （原始内容存档 (PDF)于2015-06-03）. ^ 2.0 2.1 Avoiding stairs Tube guide (PDF). Transport for London. （原始内容存档 (PDF)于2014-12-24）. ^ 3.0 3.1 3.2 Out-of-Station Interchanges (Microsoft Excel). Transport for London. 2016-01-02 [2016-08-28]. ^ 4.0 4.1 4.2 4.3 4.4 Transport for London. Standard Tube Map (PDF) (Map). Not to scale. Transport for London. January 2016. （原始内容存档 (PDF)于2015-01-03）. ^ Malvern, Jack. Transports of delight: Girl born on the Tube. The Times (London). 2009-01-03 [2015-12-01]. ^ 6.0 6.1 Wolmar 2005, p. 175. ^ 7.0 7.1 7.2 Elephant & Castle tube station. Google Maps. [2015-12-02]. ^ 8.0 8.1 8.2 8.3 8.4 8.5 8.6 8.7 8.8 Wright, Ian. Elephant & Castle heritage information. Flickr. 2013-03-02 [2015-12-05]. （原始内容存档于2015-12-08）. ^ 9.0 9.1 David, Lew. Elephant & Castle. London Moving. [2015-12-12]. （原始内容存档于2015-12-22）. ^ 10.0 10.1 10.2 Baxter & Lock 2014, p. 71. ^ Elephant & Castle Underground Station. LTM Collection. London Transport Museum. 1925 [2015-12-04]. （原始内容存档于2015-12-08）. ^ Elephant & Castle Underground Station (Ukn). LTM Collection. London Transport Museum. 1914 [2015-12-05]. （原始内容存档于2015-12-08）. 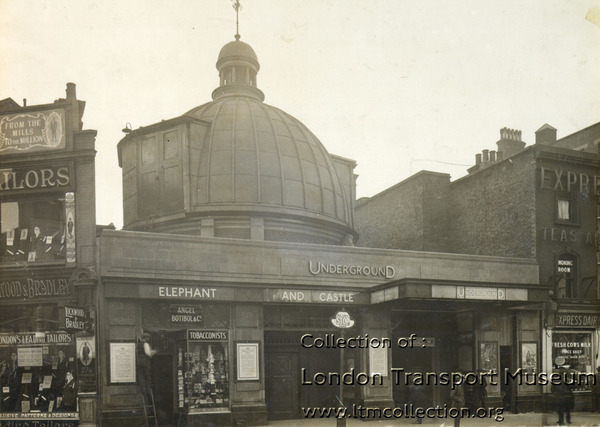 ^ Elephant & Castle Underground Station (U41908). LTM Collection. London Transport Museum. 1934 [2015-12-05]. （原始内容存档于2015-12-08）. ^ H K, Nolan. 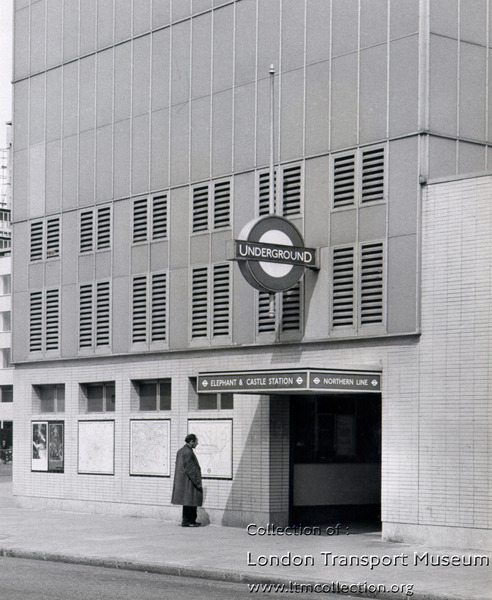 Elephant & Castle Underground Station (5255/R/1). LTM Collection. London Transport Museum. 1966-06-04 [2015-12-05]. （原始内容存档于2015-12-08）. ^ 15.0 15.1 Feather, Clive. Vertical Transport. Clive's Underground Line Guides. 2014-11-15 [2015-12-11]. ^ Tube Stations that have no escalators and use lifts to get down to the platforms. Tube Facts and Figures. Geofftech. [2015-12-03]. （原始内容存档于2015-12-08）. ^ 17.0 17.1 17.2 Tube stations with steps. Tube Facts and Figures. Geofftech. [2015-12-03]. ^ 18.0 18.1 18.2 liam, victor. Way Way Way Out. Flickr. 2006-05-15 [2015-12-08]. （原始内容存档于2015-12-08）. ^ 19.0 19.1 19.2 Station Refurbishment Summary (PDF). London Underground Railway Society. July 2007 [2015-12-03]. 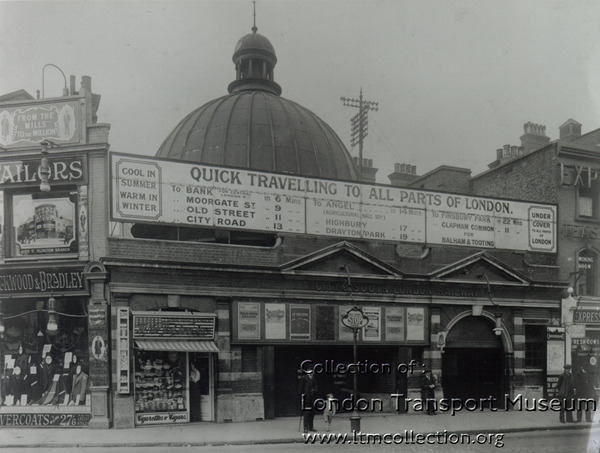 ^ Elephant & Castle Underground Station. Flickr. bowroaduk. 2008-07-22 [2015-12-03]. （原始内容存档于2015-12-08）. ^ No. 25291. London Gazette. 1883-11-27: 6066–6067 [2015-11-30]. ^ No. 25649. London Gazette. 1886-11-26: 5866–5867 [2015-11-30]. ^ No. 25721. London Gazette. 1887-07-15: 3851 [2015-11-30]. ^ No. 25995. London Gazette. 1889-11-22: 6361–6362 [2015-11-30]. ^ 25.0 25.1 No. 26074. London Gazette. 1890-07-29: 4170 [2015-11-30]. ^ 26.00 26.01 26.02 26.03 26.04 26.05 26.06 26.07 26.08 26.09 26.10 Feather, Clive. Northern line. Clive's Underground Line Guides. 2015-01-27 [2015-12-01]. （原始内容存档于2015-12-08）. ^ 27.0 27.1 No. 26226. London Gazette. 1891-11-24: 6349–6351 [2015-12-05]. ^ No. 26435. London Gazette. 1893-08-25: 4825 [2015-12-05]. ^ 29.0 29.1 Badsey-Ellis 2005, p. 61. ^ No. 26348. London Gazette. 1892-11-25: 6840 [2015-12-05]. ^ 31.0 31.1 Day & Reed 2008, p. 46. ^ 32.0 32.1 Day & Reed 2008, p. 47. ^ No. 28665. London Gazette. 1912-11-22: 8802–8805 [2015-12-10]. ^ No. 28665. London Gazette. 1912-11-22: 8798–8801 [2015-12-10]. ^ No. 31180. London Gazette. 1919-02-14: 2293–2296 [2015-12-10]. ^ 36.0 36.1 36.2 36.3 Wolmar 2005, pp. 223–24. ^ 37.0 37.1 Day & Reed 2008, p. 94. ^ 38.0 38.1 No. 26225. London Gazette. 1891-11-20: 6145–6147 [2015-12-02]. ^ No. 26767. London Gazette. 1896-08-11: 4572–4573 [2015-07-15]. ^ Badsey-Ellis 2005, pp. 84–85. ^ Badsey-Ellis 2005, p. 56. ^ No. 27218. London Gazette. 1900-08-07: 4857–4858 [2015-12-02]. ^ Wolmar 2005, p. 168. ^ 44.0 44.1 Lee, Charles E. Jubilee of the Bakerloo Railway – 1. The Railway Magazine. March 1956: 149–156. ^ The Underground Electric Railways Company Of London (Limited). The Times. 1902-04-10, (36738): 12 [2015-12-02]. 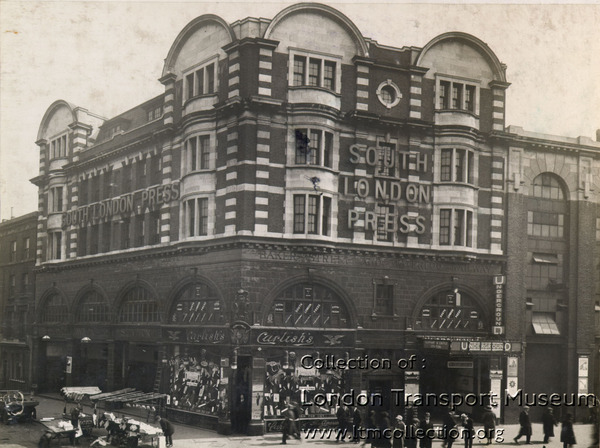 ^ Railway And Other Companies – Baker Street and Waterloo Railway. The Times. 1904-02-17, (37319): 14 [2015-12-02]. ^ 48.0 48.1 Wolmar 2005, p. 173. ^ 49.0 49.1 Feather, Clive. Bakerloo line. Clive's Underground Line Guides. 2014-12-30 [2015-12-02]. （原始内容存档于2015-12-08）. ^ 50.0 50.1 Bakerloo line timetable: From Elephant & Castle Underground Station to Lambeth North Underground Station. Transport for London. [2015-12-02]. ^ 52.0 52.1 Northern line timetable: From Elephant & Castle Underground Station to Borough Underground Station. Transport for London. [2015-12-02]. ^ Northern line timetable: From Elephant & Castle Underground Station to Kennington Underground Station. Transport for London. [2015-12-02]. ^ 54.0 54.1 Buses from Elephant & Castle (PDF). Transport for London. 2015-09-12 [2015-11-30]. （原始内容 (PDF)存档于2015-12-02）. ^ 55.0 55.1 Night buses from Elephant & Castle (PDF). Transport for London. 2015-09-12 [2015-11-30]. （原始内容 (PDF)存档于2015-12-02）. ^ Tube map (PDF). Transport for London. [2017-05-10]. Baxter, Mark; Lock, Darren. Walworth Through Time The Second Collection. Amberley Publishing. 2014. ISBN 1-44563-198-9. Garland, Ken. Mr Beck's Underground Map. Capital Transport. 1994. ISBN 1-85414-168-6.